Most of the time it’s family and close friends that stay around. A nice corner of the bar with some music and finger food works really well. It’s lovely for guests to meet in the afternoon for a barbeque or a buffet supper before heading home. Brunch works really well, this means guests don’t have to rush down for breakfast, the happy couple can have a relaxing morning together and then catch up with everyone over Brunch. 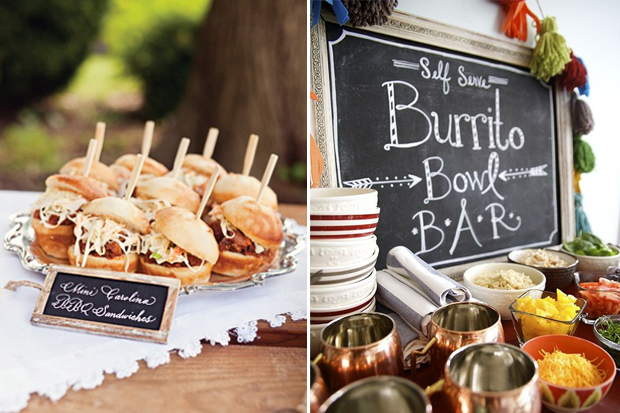 BBQs are another lovely option for a summer wedding. Day Afters are becoming increasingly popular. Here at Glasson Country House Hotel we have our own Jetty on Lough Ree and arrange a good number of private cruises (from 20 to 60 guests) from here to Sean’s Bar in Athlone – the oldest bar in Ireland according to the Guinness Book of Records. A few pints there and then a return by coach for a buffet/BBQ and some live music – a great chance to recover from the day before and to ‘chill’ with your close friends and family. Oh the possibilities are endless, I would recommend something which allows your guests to relax, get together and not have to make a massive amount of effort. A BBQ or picnic would be my choice. If the weather is good then outdoors is a must, fresh air and comfort food; perfect! There’s loads. BBQ’s are always a great hit – but not fantastic for the middle of winter. A nice country pub with good music, good craic and a good time! If it’s a winter wedding, why not see if there is anything Christmas themed you could do nearby – ice skating, sledding, ice bar? Obviously if it’s a summer wedding, it makes it a lot easier. Picnics on beaches, forests, mountains. Lake side drinks reception. A boat trip around the harbour. Lots of options! We often find that Day 2 is as good, if not better than day 1! Be mindful that your guests will probably want to sleep in. Let them have a lazy morning. But let them know in advance what time the ‘Recovery Day’ celebrations will kick off. We do several options here. A Jazz brunch works a charm for those that want to get the party going earlier in the day. You could also do a fun themed-day to keep the momentum going. Our most popular would be the Cuban theme – we open the Cuban cocktail lounge at around 4. Guests can relax outdoors and have a cocktail and listen to some Cuban inspired music. Then at around 6, get some entertainment and a BBQ going. Better still, do a Cuban styled menu as well. Nothing like a fresh burrito bar to cure any ailments from the night before! There are so many options. We offer a private lounge for our couples and their guests, we offer a screen and projector so they can share photos of the day, have a good catch-up and eat cake! We have a couple of good golf courses on our doorstep and Revive Treatment Rooms in the hotel which are ideal to refresh the mind and body for the night ahead. We also offer a private dining area to enjoy a 4 course dinner together. Our dining suites lead out onto private patio areas and gardens so are perfect for a BBQ on a warm summer’s evening. Whatever you plan to do, ensure you spend it with your family and friends! This is becoming a very contentious issue with couples being asked to 9 or 10 weddings over the season and all of these weddings going for the 2 day option. Most exclusive use venues will require minimum numbers for Day 2, so you should first go over your invite list very carefully and try and identify those that will most definitely book in for 2 days. While doing so consider what other weddings are taking place around the same time that may impact on yours, similar guests etc, as inviting guests to go away weekend after weekend for 2 nights is a big ask. If you are satisfied that you will have sufficient guests to stay the second night, then the first thing to do is get a good 2 night rate from your venue. Ask for a late breakfast/brunch to be included, then a BBQ (Pig on a Spit for example) to be served around 6pm, don’t forget a few trays of sandwiches or other supper around midnight – all this celebrating makes people hungry. Don’t organise too much to do on Day 2, guests will want to chill out and enjoy yours and each others company. Some croquet or giant jenga can be great fun or other similar relaxing activities. Plan something for the day after even if just for you as a couple. The day goes so fast and it is nice to keep the celebration going that little bit longer. The day after also has a completely different feel to it and some feel that they are more relaxed and able to be more at ease in themselves and with their guests. I have found and think it works better to keep the celebration the day after in the hotel. If the venue can accommodate it, it leaves guest that they don’t need to rush for check out, can get up whenever they want, relax, take a stroll and come together in the evening to celebrate some more. Put your feet up the day after the wedding and digest that you got married. BBQs or post wedding receptions are not welcomed by many. I would suggest a very informal event after enjoying breakfast. Relax around a BBQ or buffet style meal in a lounge area and gather with close family and friends to recap on the amazing previous day. 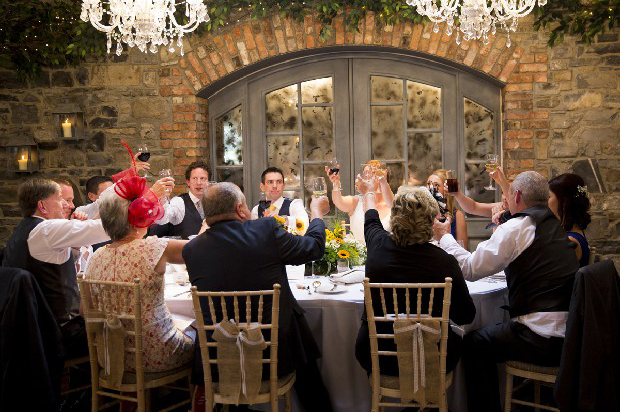 Ask the Experts – Do You Still Need to Buy a Round of Drinks or Provide Champagne for the Toast?